I really enjoyed this video of Tony Robbins talking about how to condition your mind to follow through to success as well as how to provide value to your clients. He brings up a lot of great points that can be easy to forget while we’re complaining about where we are instead of focusing on where we want to be. The difference between the average person and those that follow through with their plans is 1. A greater fear of not taking action and/or 2. Having a very good reason to follow through.This is a profound insight. Take a moment to let it sink in. If you’ve been reading this blog, you know that the Logical Soul® process is all about gaining access to the subconscious to change decisions, because your subconscious has a very good reason for keeping you where you are right now. These decisions can mean the difference between failure and success. The opportunity to provide value. Many people will buy a product and then let it sit on the shelf. They’ll take a step in the right direction, and forget about it a few days later. Until they hit rock bottom, a lot of people will just coast along with wherever they are, hoping that things will miraculously get better.The people who may purchase your products or services probably haven’t broken through this barrier yet. This is a great opportunity for you to provide value. For example, you can be the role model your life coach clients are looking for, or you can create a product that truly helps people with this issue. If you think that there are too many already, you’re wrong. Everyone enters this journey at a different level and learns in a different way. That’s why there is still a demand for these products and services. “What if I could take on another skill that could create more freedom for my life?” 1. Consciously do one thing a day for the next 8 weeks to condition your mind to follow through. Create a plan that breaks down each step to your goal easily, and practice this daily ritual until you achieve success. Feed your mind books, videos, role models, etc. that contribute to this goal. 2. Get clear about why you are doing this, and why it’s so important for you. This can be a different motivation than having no other choice. You’re looking for what drives you, for your deepest passion. “You don’t have to be at the goal yet to feel alive again.”3. Get around people who are inspired and passionate already. This can help you gain perspective on where you are in your life and how much more capable you can be! 4. The difference between someone taking action or not is CERTAINTY. When you’re certain that you’re going to get a result, then you’ll do it. If you’re certain you won’t get a result, then you won’t do it. But when you’re right in the middle, unsure of whether or not it’ll work, then you don’t know what to do! Potential. What you are capable of. Action. Determines whether or not you reach your potential. Results. The consequences of your actions (good or bad). Belief. The mindset that this is possible. Reinforced by your Action & Results. If you get yourself into a state of certainty, you tap a lot of potential and take strong action with great results. This feeds your certainty, and the cycle increases with more and more momentum for success. How do you produce certainty? Get results in your head that make you certain, as if it had already happened. Build a healthy obsession with the results you want, and feed your brain as if it has already happened. Condition yourself for success every day. Your mind affects performance. 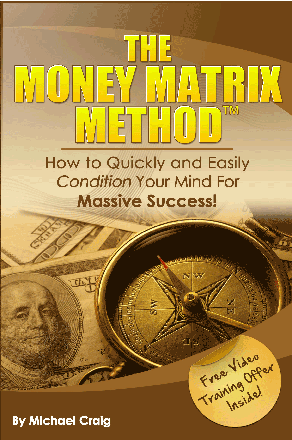 Being able to visualize your success without distraction or mental blocks is how you can take effective action. Sometimes this can be difficult, no matter how wonderful our intentions. This is where the Logical Soul® process becomes a great ally. 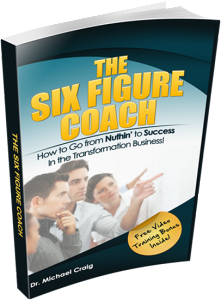 You can use it to communicate directly with your subconscious, figure out what’s blocking you, and gain access to change that decision. It’s really that simple! But the effects can be enormous. 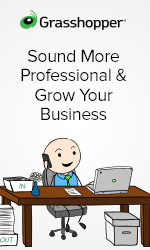 Are you looking to learn a new skill that will bring more freedom into your life? 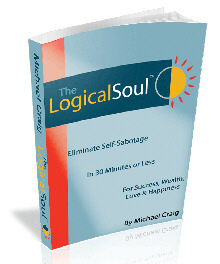 Check out Dr. Craig’s Logical Soul® Life Coach Certification course!